Google parent company Alphabet will begin testing a drone delivery service in the U.S. in a bid to overcome any hurdles to rolling out the technology, the White House said Tuesday. Alphabet will kick off a research study for Project Wing at a Federal Aviation Administration test site "to help regulators answer critical safety and human factors questions" for drone deliveries, the White House said in a statement. 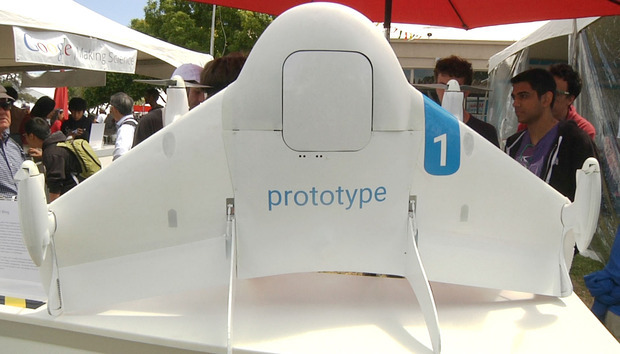 Alphabet first tested its delivery drones in Queensland, Australia, in 2014, where the company delivered a first aid kit, candy bars, dog treats, and water to farmers. Google and Amazon are both developing drone delivery systems, but lots of questions remain about how the services will actually work, including how and where packages will be dropped off. The tests at the FAA site could help assuage the U.S. government's concerns about the safety of such systems and how they will operate. The Project Wing announcement was one of several made during a White House workshop on drones, also known as unmanned aerial vehicles or UAVs. The National Science Foundation said it would invest US$35 million in drone research over the next five years. The research is aimed at designing and controlling drones to be used for infrastructure inspection, disaster response, agricultural monitoring, and studying severe storms. The U.S. must avoid crippling the drone industry through slow-moving regulatory processes, FAA administrator Michael Huerta said during the White House workshop. "This is an industry that's moving at the speed of Silicon Valley," he said. "We at the FAA know that we can't respond at the speed of government." The U.S. Department of the Interior said it will use drones to support search and rescue operations, augmenting its manned aircraft operations. In addition, the Future of Privacy Forum, Intel, and PrecisionHawk released a report calling on drone makers to embrace privacy early in the design process, in response to concerns among consumers. the design and architecture of devices, systems and business practices," the report says. "In doing so, privacy is enabled by default, not 'bolted on as an add-on, after the fact.'"